Delena Mae Pickard was born June 13, 1939 to Leon William Pickard, Sr. and Gerture Virginia (Baldwin). 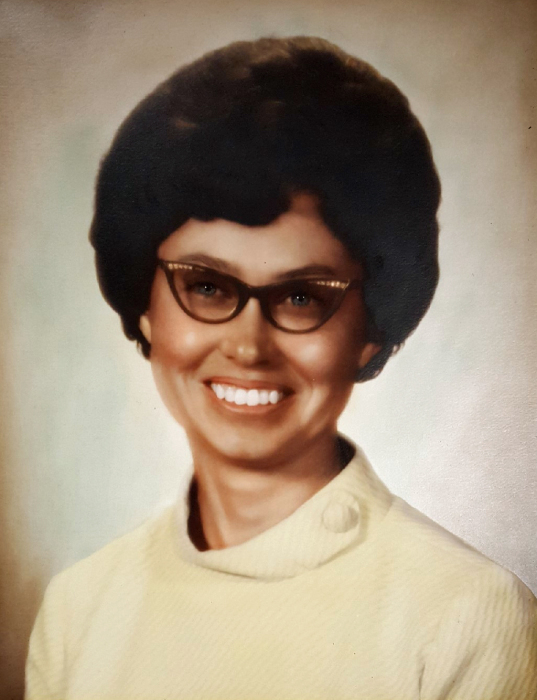 She passed away November 28, 2018 in her home in McLoud at the age of 79. Delena grew up in McLoud and Oklahoma City where she graduated from Capitol Hill High School in 1958. She later moved back to McLoud where she lived the rest of her life. She cared for her parents and nieces and nephews with great love and devotion. She enjoyed growing flowers and listening to bluegrass music, even hosting bluegrass festivals on her property. She also enjoyed playing the role of family historian and had a knack for remembering everyone’s birthdays. Delena had a passion for crochet and enjoyed cooking and caring for others often putting their needs before her own. She will be remembered for showing up early with a willingness to help with any need. Delena was preceded in death by her parents; brother, Leroy Pickard; and sister, Willa Mae Pickard. Survivors include her siblings, Ralph Pickard of Westville, Robert Pickard and wife Louella of Shawnee, Leon W Pickard, Jr. and wife Glenda of Harrah, Shirley Morphew of McLoud; along with many aunts, uncles, nieces, nephews, other family and friends. A funeral will be held at 2:00 Monday, December 3, 2018 at the Dale Church of Christ with interment following in the Dale Cemetery. Arrangements are under the direction of Lehman Funeral Home of Wellston.